You know what's a fun thing to do with your kids? 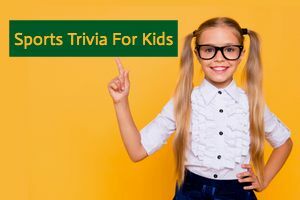 Teach them all about sports trivia! Do you think you already know a lot about sports? Take this quick quiz and find out. These are going to be some pretty simple questions related to all different kinds of sports. There's only going to be one correct answer, so check it over carefully to make sure you're getting it right! Whether you're at a family gathering, having family game night with your kids, or just sitting there looking for something to do, sports trivia is always a fun way to pass the time. Try out this quiz right now!